The pursuit of Truth, Goodness, and Beauty is the founding spirit of Kyorin University. In our quest for Truth we must make sincere efforts to discover that which is genuine. We must apply our intelligence to pursue truth in our natural and social scientific research. In our development as human beings, we must cultivate a sincere personality and a humanistic attitude based on healthy ethics, kindness, and devotion to others. Finally, we must refine our aesthetic sensibilities to appreciate beauty. It is only by combining our knowledge of Truth with modesty, self-control, and a deep respect for others that we may develop a noble mind. With these ideas as our educational concept, Kyorin University aims to foster graduates with internationally recognizable talents and excellent character, both able and eager to render services to others with a spirit of Truth, Goodness, and Beauty. 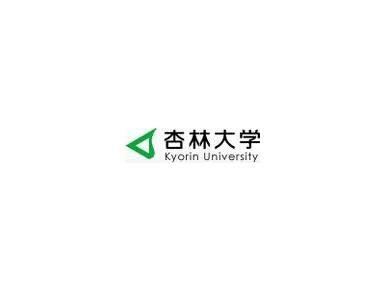 The name of Kyorin University ‘Kyorin’ (literally translated as ‘apricot forest’) derives from a legend that has descended from China. The legend is about an excellent medical doctor in the third century A.D., Dong Feng, who lived in Lushan, a northern part of Jiang Xi Sheng, and southwest of Jiu Jiang. He treated many patients without charge. Instead, when they recovered, he asked them to plant apricot trees. Several years later, a vast forest of 100,000 apricot trees appeared. Based on this legend, great and generous medical doctors in later centuries became known as ‘apricot forests’ or ‘Kyorin’ in Japanese. We believe that our university's mission is not only to provide specialized knowledge to students but also to foster graduates who are able to contribute to our international society with a spirit of service like the doctor in the legend.